Synopsis: Harry, Ron and Hermione, now armed with the knowledge of the Horcruxes, set off on a mission to destroy these evil objects to defeat Lord Voldemort once and for all. 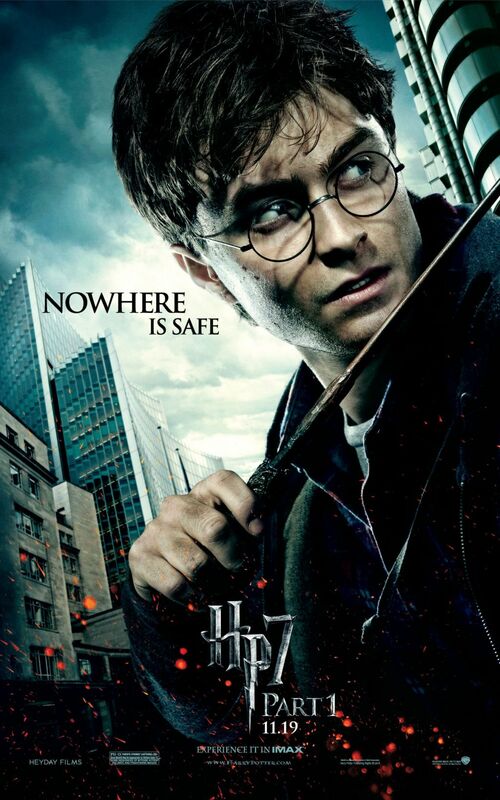 Review: This is what the previous six movies of the Potter franchise has all been building towards, the final battle between good vs evil, between Harry Potter and the Dark Lord, except not quite in this film. Although the Deathly Hallows marks the final instalment in Rowling’s series of novels, the film-makers made the decision to split this final chapter into two movies. Although one can certainly make the argument that this was a decision done purely to make more money for the studio, the decision to do so does have its merits, but it does have its problems too, namely that this film is a little bit slow. The dark tone that has been an ever present since almost Azkaban certainly does not diminish here. With Dumbledore now dead, Harry is armed with knowledge of the Horcruxes, the means that Voldemort uses to ensure immortality, but he knows very little about what they are or where to find them. As such, writer Steve Kloves goes into a bit more detail with certain elements. These are certainly interesting to watch, particularly the opening battle between our heroes and the bad guys, and the scene exploring the origin of the titular Deathly Hallows. Yet ultimately it is all just build up to the big climatic battle that we know is coming in part 2. That being said, writer Kloves is given the opportunity to spend more time on certain things. The origin of the Deathly Hallows is very interesting to watch, and is told in a very interesting manner. Yet, there are some bizarre additions that really don’t make a great deal of sense, namely a random dance scene between Harry and Hermione, it just feels all out of place and does not make much sense. While there is interest in their quest, there is a severe lack of action, but the action that is given to us is enjoyable to watch. The initial battle of the Seven Potters is very well executed and very suspenseful, with that great bit of humour added in there once more. Yates once again ensures that the directing is of a very high calibre, whilst the film visually remains excellent once more. The explanation of the origin of the Hallows is done in a very interesting and visual way. The key trio of Harry, Ron and Hermione, the centre pieces of this franchise are front and centre once again. Yet here, the friendship is severely tested as the magical objects they are seeking begin to stir up emotions, very much of the wrong sort. The performances of all three have for the most part been on point, but Radcliffe and Watson do give the more well rounded performances. The veteran actors such as Fiennes, Bonham Carter, Rickman and John Hurt merely have small cameos, but in spite of little screen time, they continue to excel. With an exciting conclusion that sets the stage for what is to come, ultimately, this is merely the calm before the storm that is to come in part 2. Could this have been one big three and a half hour film? Yes it definitely could. While this does have its slow and tedious parts, there is plenty for Potterheads to appreciate and enjoy, but these are quite often very small moments. Yet there are a few really head-scratching moments. However, after seven films, the franchise was poised to close in a very exciting and epic manner. The moments of magic are limited, and the pacing is slow, but with a thrilling conclusion that delivers an emotional pay off. The stage is set for the exciting conclusion.